October is here and the time has come to prepare for Halloween! 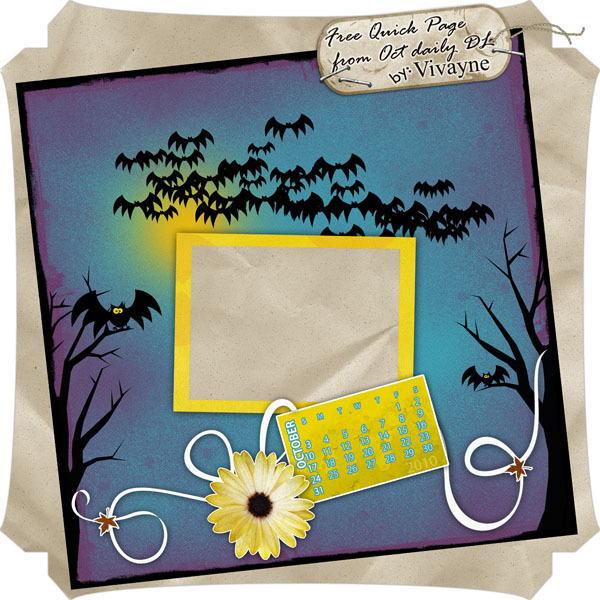 This time, our dear friend Vivayne prepared a little something for all scrap book lovers – free digital scrapbook Halloween! Today’s free download is – October 2010 Calendar! As always, it is my pleasure to present designs by Vivayne because they are awesome and I’m not saying just because she also uses Photoshop brushes in her designs. So, head over to Vivayne’s blog and find out more about this months freebies! If you are into digital scrapbooking – you will not be sorry! I guarantee you that! OK. I hope you will enjoy her work as much as I did. I just decided to give two of my Halloween backgrounds commercial packages (total value $11.98) as a FREE BONUS to anyone who decides to go for, the one and only, legendary 800+ Photoshop brushes MEGA SET, by this Friday, 8th of October 2010! So, go get 800+ Photoshop brushes MEGA SET now – and get 2 commercial Halloween background packages for FREE!